By now, a number of much more-qualified people have weighed in with their recommendations and reviews, so I won't try to improve on what they've said. I will offer my current setup for what it's worth, since I promised a few folks I would. First of all, if you haven't already backed up your Google Reader data (not just imported into another service), I recommend you do so before midnight. While it's a safe bet that most of the prominent services will have the capacity to import/export for the other prominent services, it's a fact that everyone has (and will likely continue to have) a way to easily import the Google Reader data. Do it here. Feedly seems to be the go-to syncing engine for now, perhaps mostly because it's free, and I've been perfectly happy with it. Feed Wrangler is one to watch, but for $19/yr. I'll want to see that it offers something I really need before making the switch. At my Mac, I'm going to tough it out with the Feedly browser interface for awhile, and see if I can grow to like it. I get distracted with all the flashy layout stuff they try to do - I need a simple linear stream of information - so I'm alternating between the Title Only View and the Magazine View. On my iPad, I like Mr. Reader best, despite the name and the too-clever-by-half icon. It supports Feedly, and syncs really quickly (seems quicker than Google Reader was), so I have no plans to switch away. It has the best gestures and navigation, in my opinion. When I started using, it was the only one I could find that let me add feeds from the iPad, and I still find this feature very handy. On my iPhone, I will be eagerly awaiting Reeder's support for Feedly sync. In the meantime, I will try to get used to Feedly's free iPhone app. I check RSS least often on my iPhone, so I can wait a bit here / put up with the quirks of Feedly's app. We're back to Brown Liquor Season, and I've updated my previous recipe this year. Juice 2 Lemons, 2 Limes, and 2 Oranges into a measuring cup. I got about 1 3/4 C out of mine. Make a simple syrup of equal volume. I used [Whole Foods 365 Organic Turbinado] Raw Sugar, for what it's worth. Combine 1 + 2 into a bottle, and refrigerate the resultant syrup. Fill a shaker halfway with ice. Add 3 oz. whiskey. I prefer Maker's Mark. Shake vigorously and strain into a rocks glass with a big ice cube in it. Tell the kids to pipe down, and Enjoy! This is no longer news, but my question is timeless: what makes this form of vandalism a crime, and Banksy's serial public defacements "art"? System: Connecting... An agent will be with you shortly. [Agent's Name Redacted]: Welcome to Web Chat. How may I help you today? Trey Miller: I just noticed that you're charging $18 for UPS ground shipping. If you don't have a free shipping option, I'm going to cancel my order. Time is of no consequence, so there's no rush. Trey Miller: Do you have a free shipping option? [Agent's Name Redacted]: We do not have a free shipping option. Trey Miller: . My order total is $24. does $18 seem right to mail an envelope full of paper? [Agent's Name Redacted]: What is the item number you are ordering? [Agent's Name Redacted]: And where are you located? [Agent's Name Redacted]: What is the quantity? Trey Miller: 200 for 2 separate accounts. [Agent's Name Redacted]: The shipping amount is independent of the cost of the item. the 24 dollars is for the items. and it is about 9 dollars for shipping per item.. that is correct. Trey Miller: I'm sure it's correct, but does it seem *right* to you? [Agent's Name Redacted]: May I help you with anything else today? I guess Amazon Prime has spoiled me. In a weird twist, I went back a couple days later and tried again, and sailed through checkout with free shipping. I think this would solve a first-world problem I had awhile back: when our bedroom was on the second floor and the laundry was in the basement, it was inconvenient to run down two flights of stairs to change a load from the washer to the dryer. Even worse, on a cold night, was getting down there 3-5 minutes before the washer was done. In a world where refrigerators are connected to the Internet, it's inconceivable to me that my washing machine can't text or email me when it's finished. Everyone with a website seems to care more about the Disney/Lucasfilm merger than I do, so I have nothing at all to add to the conversation. Well, except to say that as usual The Onion has nailed it. For the first time in years, I bought an actual, physical CD. Technically, it's a 5-disc box set, and to be totally precise, I pre-ordered it. The purchase? This. 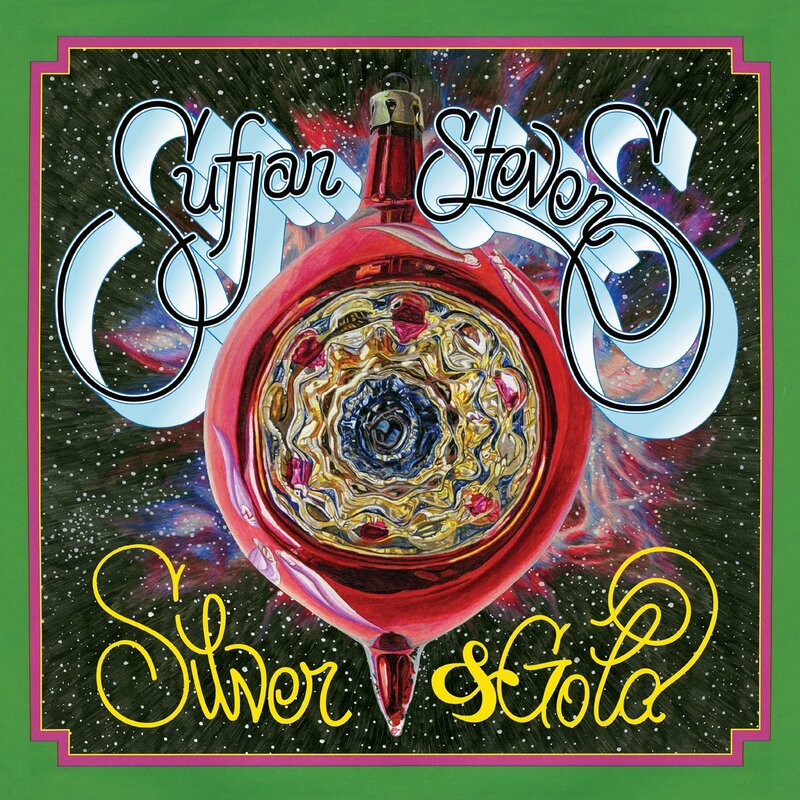 I'm appalled that I just now heard Sufjan Stevens has a new Christmas collection coming out, but delighted nonetheless. His previous set of songs plays nonstop in the Miller home from Midnight on Thanksgiving until New Year's Day. If anyone happens to have a few extra tickets to the Haw River Ballroom on 11/25 (or a plausible explanation as to why he's playing there), do let me know. I was discussing my new Indochino suit (full review forthcoming, no doubt) with a friend recently, and he kept referring to pants as "trousers." This friend is a blue-blooded American, not an affected wannabe Brit, so I became curious about his conspicuous use of the word. Turns out, he worked for a time at a high-end haberdasher (my word, not his) in the south, where he sold (and bought for himself) bespoke suits and related accoutrements (my word, not his). I asked at one point: would you ever refer to trousers as "pants"? He flinched at the question, both of his hands twitching reflexively. But he managed to immediately conceal the scandalous nature of my inquiry and simply replied, No. I'm a khaki pants man, myself. And I've made no secret about my love for Bonobos. Now, for a limited time, if you purchase a pair of Bonobos pants using this link, I'll earn a little referral credit. What's in it for you? A nice pair of trousers, I guess. Google can calculate any Bacon Number in real-time. For some reason, the dozen or so people I tried all came back with a Bacon Number of 2. I was delighted to discover that there's such a thing as an Erdős–Bacon number, and the four actors with the lowest Erdős–Bacon numbers are women…take THAT Larry Summers! I wish I'd written this five years ago. Spot-on. Can Cricket Thrive in the US? The league will be launched in direct competition to the English season with ambitions to attract many of the world's top stars for what Neil Maxwell, one of the main proponents, is presenting to the States as "baseball on steroids." We already have a "baseball on steroids" here in the US. We call it "baseball." I grew up with a mild interest in, and average understanding of, our national pastime. During the year I lived in Australia, I set my mind to understanding cricket, and it was only after I stopped trying to compare it to baseball that I made any progress at all. Of the two sports, I find cricket much more fascinating, although I suspect that's mostly because of the novelty. Hola, amigos. I know it's been a long time since I rapped at ya, but I been puttin' out fires left and right. The truth is, I never planned to take the summer off, but about halfway through July I realized that's just what I'd been doing. So, in my mind, I made it official and decided I'd start posting again after Labor Day. Did you miss me? Are you still around? I suspect that most people don't visit websites directly anymore, and 99% of my loyal fans have this site tucked safely into their RSS reader, in which case the answers are likely "no," and "yes," respectively. At least two people, both of whom had much busier summers than I did, inquired as to my whereabouts and general state of being. There's nothing more humbling than telling someone who has (in the span of three months): consolidated residences from two different states into a single NY apartment, changed jobs, made multiple international trips with a toddler in-tow, and still managed to put up high-quality content on his own website...there's nothing worse than telling that guy you've been "kinda busy lately." But "busy" is a relative term, right? Between riff 60 and 61 he tunes to drop-D in a single twist of the peg, and then later goes back to a standard-E, without ever losing tempo (he does it again at 72/73 and 75/76). Unbelievable. Also, the way he deftly picks up the slide for Seven Nation Army #88 while holding a hammered note with his right hand is fairly impressive. I was surprised and pleased by his pick for #100. Some friends and I were discussing recently how different technical proficiency is from "soul" or whatever characterizes the musicianship of great artists. (See: Steve Gadd vs. just about any other dude trying to teach a Steve Gadd rhythm.) Alex seems to have a feel for all of these songs beyond technical rudiments. I get the sense that he could play any song with a band and have groupies waiting backstage. Is this because Alex is a musician and the aforelinked drummers are merely technicians? Is it easier to fake "soul" on the guitar than the drums? Something else?